Since birth I have pretty much been a strawberry addict, eating them as much as I can, whenever I can, in whatever form I can. So needless to say I got very giddy every February when it was time for the festival! The prize of the festival was taking home an entire flat of strawberries at the end of the day. 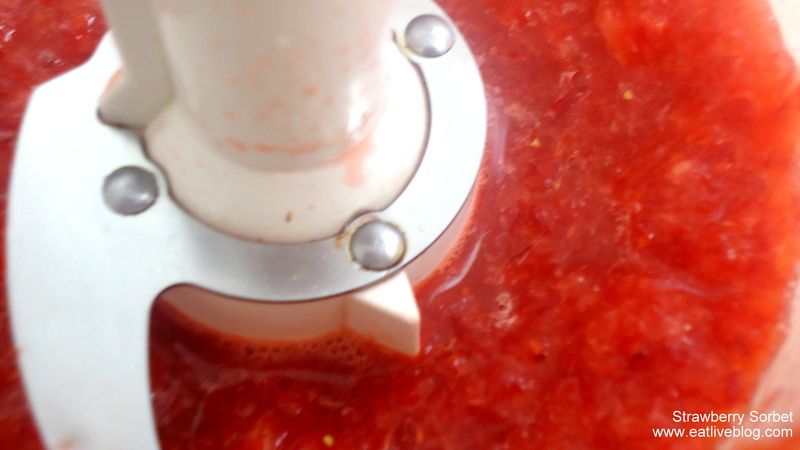 To be clear, a flat of strawberries is 12 pints, or approximately 12 lbs of strawberries. This one year in particular, I must have been about 7 years old. It was a long day at the festival as we loaded back into the station wagon for the trek home. I climbed all the way in the back of the wagon to take a little napper and make sure our flat of strawberries stayed safe. About 45 minutes into the car trip my dad called back to me to make sure I was okay, since I had been quiet the entire trip. The story goes that my head popped up with strawberries smeared all over my face. I had eaten the ENTIRE flat of strawberries!! You would think the stomach ache I got from that episode would have solved my addiction to strawberries. Not so much. Back to Healthy Snack Wednesday. I have gotten a few requests to bring back this series, and I am happy to oblige! It gives me a goal to have to write regularly, and that is a good thing. It also makes me research and try new healthy snacks, and who wouldn’t like that? 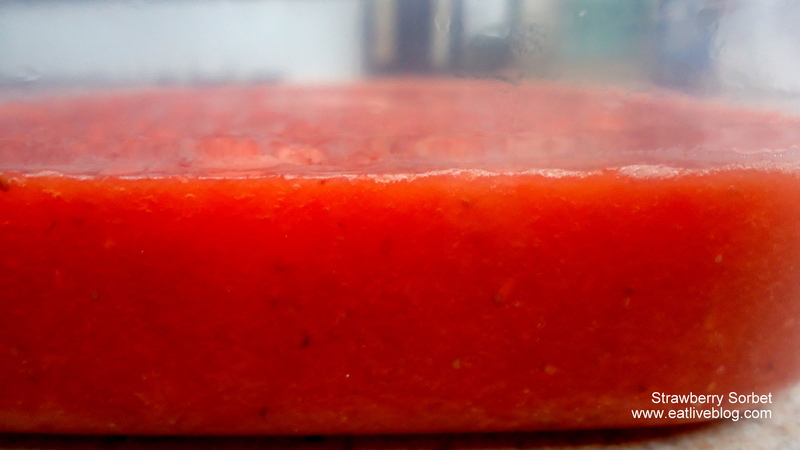 I attended a tapas party last weekend, and one of the attendees made a strawberry ice cream cake that was amazing, so I knew I would be making strawberry something this week! Being that 6 oz of strawberries have only 49 calories and a whooping 3 grams of fiber, I knew this was the perfect “gateway treat” to make the return to HSW. This dessert snack is fabulous! It can satisfy any sweet tooth, while remaining as close to “just fruit” as you can get. We ate the sorbet with a nice scoop of low fat Cool Whip on the side (yes, I like Cool Whip). You can easily make this into a larger batch for entertaining, or even mix it up by using a different fruit. I think I am going to attempt Nectarine Sorbet next! And, I’m not going to lie, mix in some rum and you may have the perfect party treat! 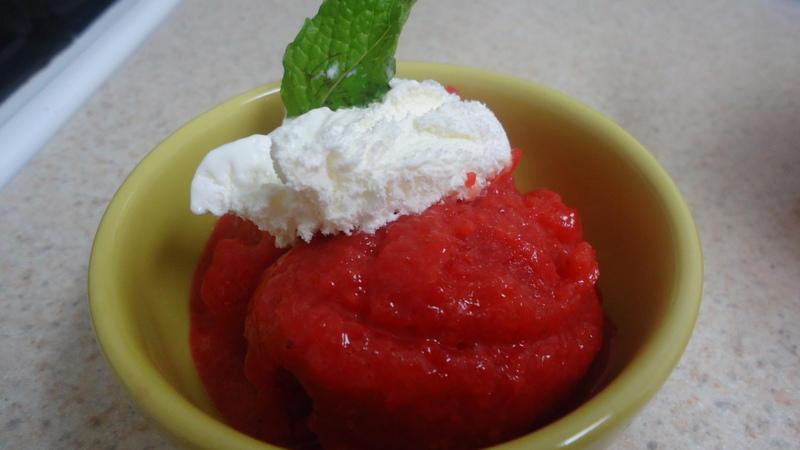 This entry was posted in Recipes and tagged dessert, fruit, healthy, healthy snack wednesday, non dairy, recipe, snack, sorbet, strawberry, strawberry sorbet by reneeh. Bookmark the permalink. 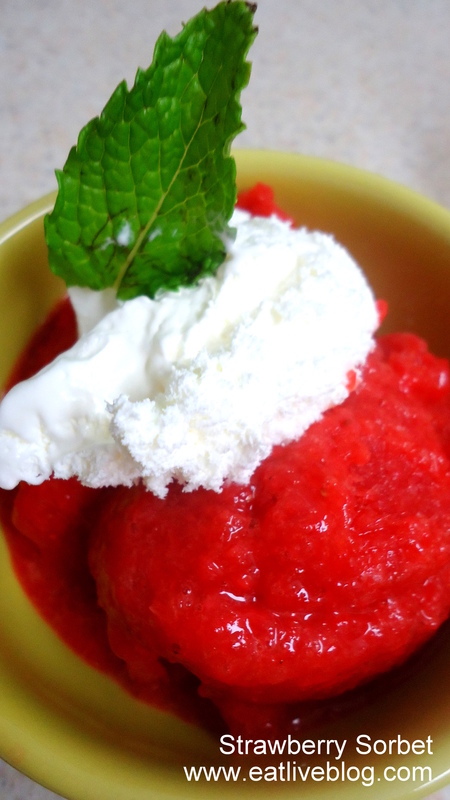 A recipe that doesn’t require an icecream maker! hurrah. this looks incredibly refreshing! Yay! HSW Also, yum. We used to go pick strawberries in the dewy morning hours on the 4th of July (I was in ME) then proceed to sell them/strawberry shortcake at the epic party that happened in a nearby town. The rule was always to eat as many berries as you could on the field – since sharing the ones that we had paid for wasn’t really allowed! This looks seriously awesome. Confession: I like Cool Whip too. Yum!! 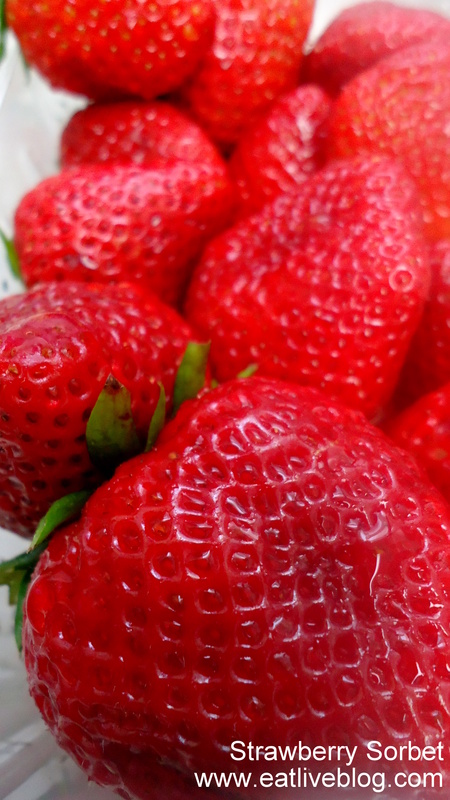 I love strawberries, too, and just had a smoothie with the not-so-hot ones left in my fridge 🙂 Strawberry season is soon upon us in Knoxville, yay! Sorbet looks awesome- such a perfect summer treat!! 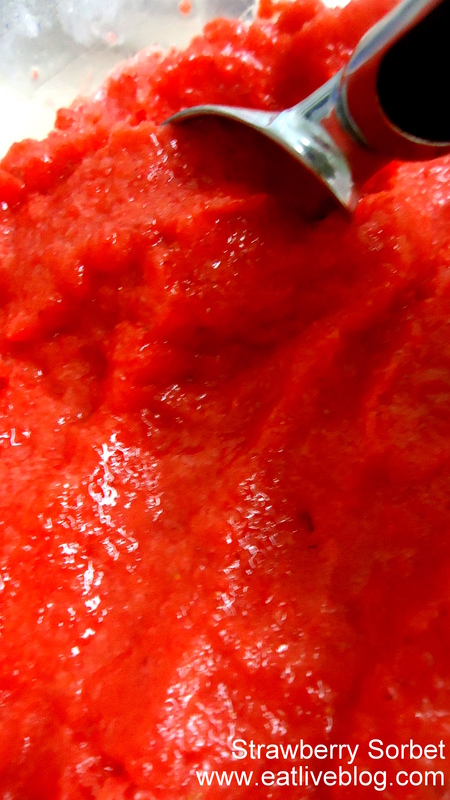 And nectarine sorbet sounds ultra-fabulous! Um, that looks so good and refreshing! Thanks for the great recipe! Yummy, need to try this on the weekend.